This is arguably the first recording to fully flesh out the aural expanse for which ECM has come to be known. Although I am well aware of the immense groundswell of musical activity that was the 1970s, certainly an album like this was a refreshing and altogether mind-altering experience for those fortunate enough to be young musical explorers at the time. Featuring a lineup of musicians who would go on to weave ECM’s significance into the fabric of time, Solstice is a tour de force of musicianship, writing, arrangement, and recording. Each track is brimming with life and features the sensitive application of a variety of instrumental combinations and studio savvy. “Oceanus” showcases Garbarek in his prime, soaring with an unbridled emotional register. As always, Towner’s 12-string speaks in 360 degrees. Superb drumming from Christensen complements lush melodic lines from Weber, who stretches a melodic cello into infinity while his bass arises like the conical aftereffect of a water droplet. “Visitation” clouds this ardor in a nocturnal vision filled with laughing spirits. “Drifting Petals” is a slow progression, a timid look out onto a dusty plain where the promise of freedom looms larger than the possibility of danger. But then an elder’s advice rings in our ears and pushes us onward. Feet move of their volition and pull us into the ever-receding horizon as the first drops of a squall streak across our foreheads. Towner proves again that his piano musings are not to be taken lightly, as they make for one of the most evocative tracks on the album. A transcendental 12-string solo (with gentle dimensional support from Weber) opens “Nimbus,” soon blossoming into a flourish of flutes, drums, and a bowed bass that cries with the grating fluidity of a sarangi. Garbarek’s sax joins in the fray and lets loose its harmonious fire. The deftly overdubbed flutes return, spreading their wings for a few moments before fluttering off into the distance. “Winter Solstice,” “Piscean Dance,” and “Red and Black” comprise a triptych of duets: the first for classical guitar and sax, the second a prime jam for 12-string and drums, and the third for 12-string and bass. “Sand” ends our cosmic journey with one of Garbarek’s deepest meditations for sax set to the strangely compelling ululations of Christensen’s flexatone lolling about in the background. 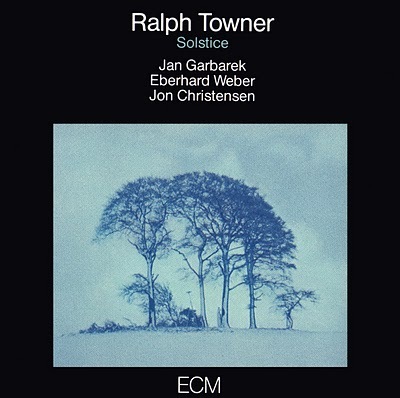 Melodically robust while structurally yielding, this is an album to be treasured and is a must-listen for anyone desiring to know what ECM is all about. An astounding meeting of musical minds if there ever was one. Hugh Manatee (humanity) famously (to those of us present) trolled the once vibrant ECM listserv 10 – 15 years ago or so. It was a wonderful forum for sharing appreciations for the artistry at ECM, and the many appreciative patrons from across the globe affectionately referred to the listserv as “the bar.” HM gleefully took it upon himself to be the turd in the punchbowl. Best ignored. Did anybody notice ‘Piscean Dance’ misnamed ‘Piscean Dreams’ in this review? This track is worth the price of the album alone. A fabulous display of the meeting of great musical minds. Every drummer I have played this for is blown away. I notice that ‘Piscean Dreams’ has been restored to its correct title in the review – just when I was starting to think that no-one read these posts any more – good to see! A beautiful album and one, as rightly pointed out, that helps define the most unique aspects of the ECM catalogue. Between this, The Colours of Chloë and The Köln Concert, the label’s sound became grounded within the first few years of its existence. ‘Oceanus’ and ‘Sand’ are breathtakingly beautiful pieces. 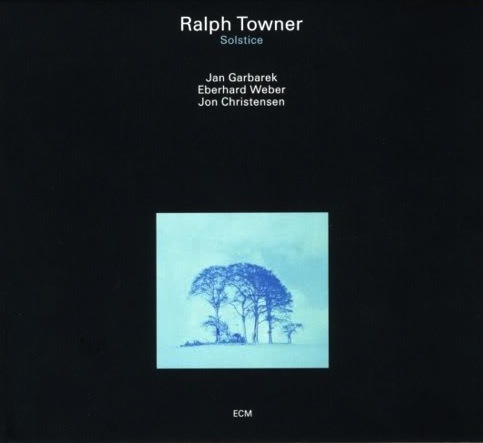 I’ve always been most fond of Towner’s 12-string work, so its extensive use here marks it out as probably my favourite work of his.